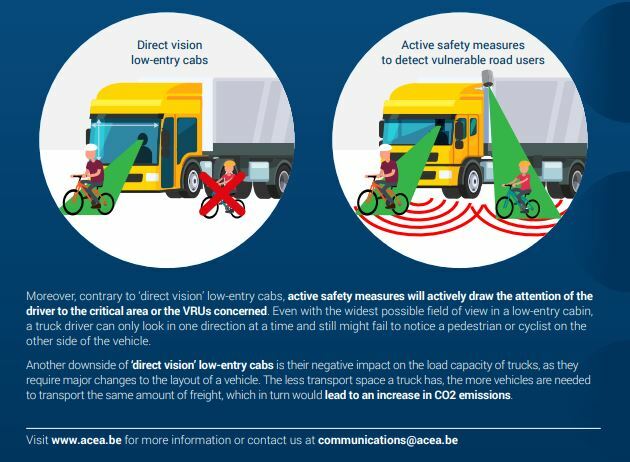 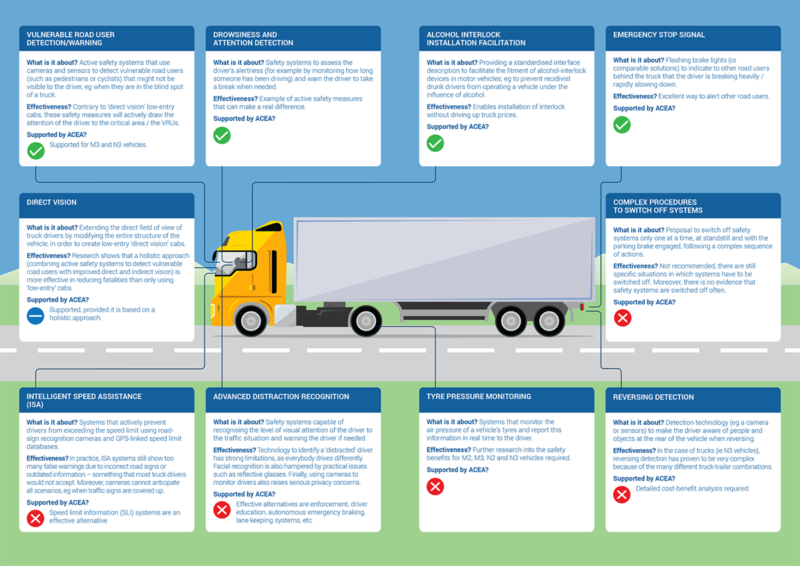 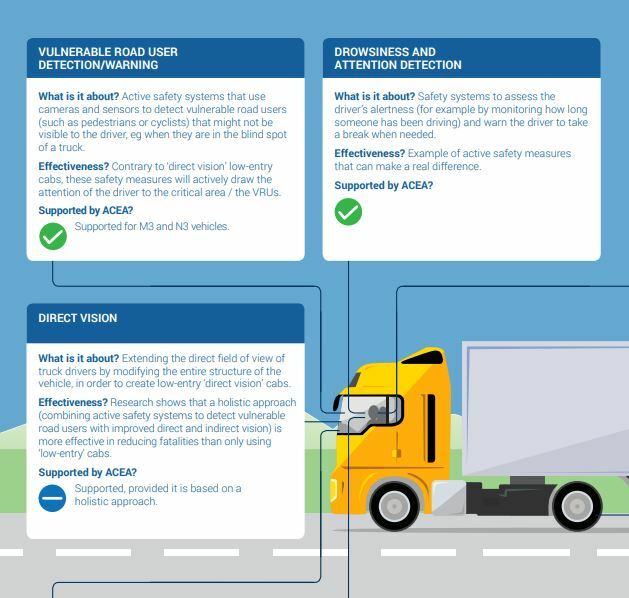 This fact sheet explains ACEA’s position on the new vehicle safety measures proposed for heavy-duty vehicles as part of the revision of the EU General Safety Regulation. 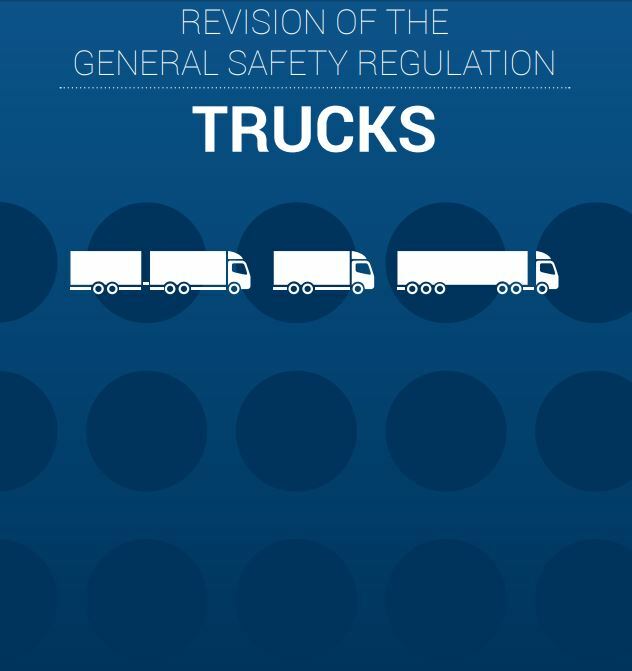 In May 2018, the European Commission proposed a revision of the General Safety Regulation (GSR), which specifies the safety systems that new truck types should come equipped with. 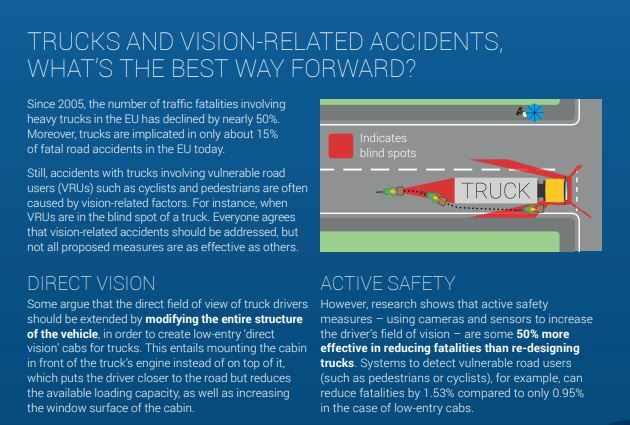 This proposal is now under discussion by the European Parliament and the Council. 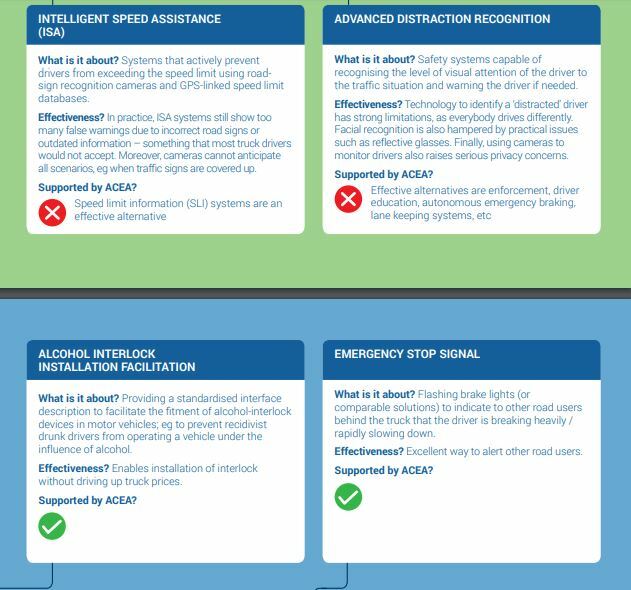 As this fact sheet shows, the European Automobile Manufacturers’ Association (ACEA) supports a wide array of the safety measures proposed by the Commission. 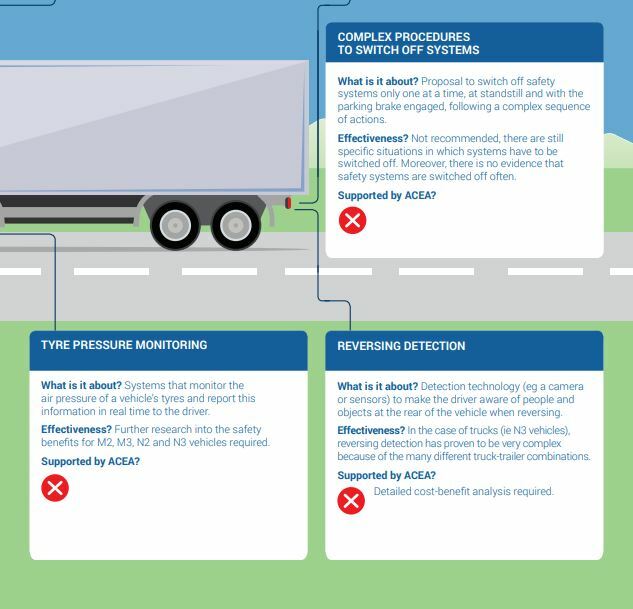 However, the truck industry also believes that some of the proposed measures require further review to ensure a focus on the most effective solutions.